Not that we weren’t fully expecting this to happen, but in case you needed one last ounce of proof that the 32GB Nexus 7 was arriving for $249 and the 16GB version was dropping to $199, we have it for you. Office Depot stores across the country are putting them on display today. Most of them also have limited stock, so if you feel like upgrading to 32GB of storage, call ahead and see how many they have left. A handful of DL readers all dropped a note in our inbox, claiming that they were able to purchase them in-store. We are starting to wonder how long it’ll be before Google updates the Play store to reflect this change. With tomorrow’s Android event cancelled, they won’t have the chance to talk about its availability any time soon. 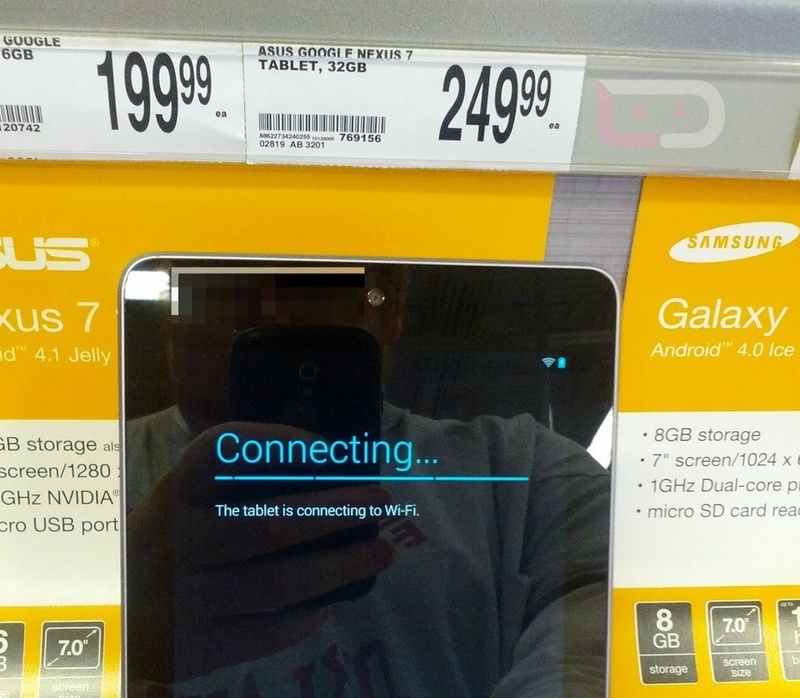 With distribution expected to hit major retailers in the coming days, it would be wise of them to announce the tablet and update the Play store.